The first day of the nineteenth Yorkshire Charity Clay Days will be held in the iconic and beautiful setting of Duncombe Park, Helmsley on Monday 14th May 2018. The aim of the event is, of course, to raise as much money as possible for our nominated charities Marie Curie and Ryedale Special Families. All silent auction lots will be open to online bids before the event until 4 pm on Friday 11th May 2018 when online bidding will be suspended. If you are solely bidding online prior to the event, we strongly recommend that you place a proxy, or maximum, bid on these pages to avoid disappointment. Your proxy bid will be carried over to the live event where bidding will be available at the venue only, but will continue on your behalf until it reaches your maximum. If you are still the highest bidder at the end of the event, we will contact you later in the week.Thank you for your support. A fabulous chance to enjoy three nights’ accommodation in a Suite at Riad Farnatchi, Marrakech and dinner for two at Le Trou au Mur, Marrakech. To be taken any Monday to Friday before 20th December 2018. 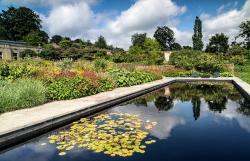 A private tour of the gardens of Mount St John near Felixkirk (not open to the public) by Head Gardener Lizzie Balmforth for eight people followed by lunch prepared by award-winning TV chef, Stephanie Moon in the conservatory overlooking the gardens. Lunch will be designed specifically to incorporate as much produce as possible from the garden. Enjoy the scents, sounds and visual delights of this beautiful, unique garden designed by eight times gold medal-winning Chelsea Flower Show garden designer, Tom Stuart-Smith. To experience the garden at its most beautiful the tour and lunch would be best taken during the summer months of 2018 or 2019 on a date to be mutually agreed. 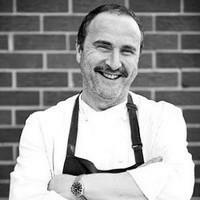 Having worked as Head Chef in many restaurants, several with Michelin Stars and AA Rosettes, Paul has worked as a director of the UK’s first website for culinary professionals and as a consultant for companies including Whitbread PLC, David Lloyd Leisure, Princess Foods, Major Food Stocks, Russell Hulmes and The Dorchester in London. In recent years, Paul has worked to the highest of culinary standards and has been responsible for the delivery of several events attended by Her Majesty The Queen and The Duke of Edinburgh, Prince William and the Duchess of Cornwall. Enjoy a sumptuous dinner with excellent wines, a superb overnight stay followed by a traditional Yorkshire breakfast at this award winning, traditional village inn, located in the heart of Felixkirk village on the outskirts of the market town of Thirsk, North Yorkshire. The inn specialises in bringing its guests high quality food, drink, service and surroundings with a traditional bar, Garden Room restaurant, outdoor terrace and ten en-suite bedrooms - eight of which overlook the Vale of York. The classic British menus use only the best produce available from carefully selected suppliers, complemented by an extensive range of wines and cask ales. Date by mutual agreement with Provenance Inns. The higher the bid, the better the wine! 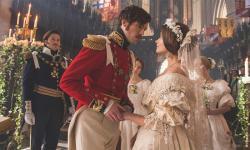 A unique opportunity for the winning bidder and three guests to have a private tour of the set of Victoria, the immensely popular and lavish production hit on ITV. The tour allows access to the set which has been created in a hangar at Church Fenton Studios in North Yorkshire. It is a wonderful recreation of Buckingham Palace both upstairs and downstairs with thirteen magnificent rooms. There will be an opportunity to meet some of the cast who are there on the day, including potentially Jenna Coleman (Queen Victoria) Tom Hughes (Prince Albert) and Dame Diana Rigg. The tour can be taken between May and October 2018 when filming is taking place. 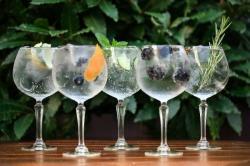 Enjoy a quintessentially British evening of gin tasting! Enjoy a welcome gin cocktail on arrival followed by the history of gin and tonics. You will have the chance to taste several Yorkshire gins and we will show you how to make the perfect Gin & Tonic, how to match unique flavours and botanicals with the perfect garnish. You will then have the chance to make your own! Conclude your experience with an amazing three course dinner in the boutique ambience of the West Park Hotel before leaving for home a little bit shaken and most definitely stirred! 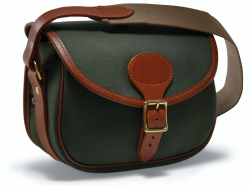 The chance to own a beautiful Rosedale Canvas and leather cartridge bag, which has a capacity of 100 cartridges and has a hinged speed load opening allowing for easy access. 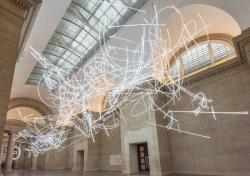 •	Size: W10 x H8 x D4½"
A private exhibition tour of The Hepworth Prize for Sculpture 2018 with Director Simon Wallis and Chief Curator Andrew Bonacina, followed by a delicious breakfast for up to eight people. The tour will begin at 9am on a date of your choice subject to availability. An opportunity to have an exclusive private tour and discussion about Sculpture at the second biannual Hepworth Prize for Sculpture 2018, 26 October 2018 - 20 January 2019. Winner of “Museum of the Year 2017” the Hepworth Wakefield is an exciting an innovative museum. 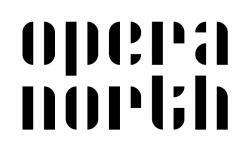 Enjoy an evening during Opera North’s 2018 Autumn Season; go behind the scenes at the Leeds Grand Theatre, meet the cast and enjoy hospitality before and during the performance. You’ll then see the opera from your own private box. Enjoy an evening at one of two productions during the Autumn Season - Tosca or The Merry Widow. Complete your evening and treat your guests to pre-show and interval champagne. Date and time by mutual agreement. Two tickets to the “sold out” Members’ Day of the most prestigious Flower Show in the world – the place to see cutting edge garden design. 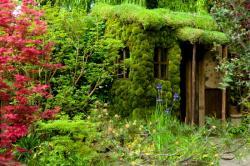 Chelsea Flower Show has been held in the grounds of the Chelsea Hospital, London every year since 1913 – apart from gaps during the two World Wars. Chelsea Flower Show remains hugely popular with tickets completely sold out within a matter of weeks of them being released for sale. 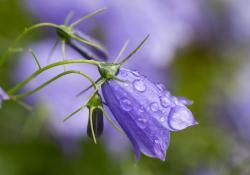 You will be given a personal tour of the Show by a member of the RHS Council. Gornall Equestrian, based in North Yorkshire is home to International showjumper Jamie Gornall and his team of world class competition horses. Jamie has over 15 years’ experience in the sport and has ridden for and trained with some of the best riders in the world. 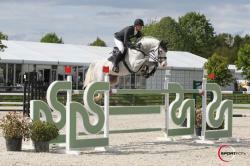 He has recently been selected to represent Great Britain in the Nation’s Cup Team. The prize includes a tour of Gornall Equestrian and 2 x one hour riding lessons (on your own horse) with Jamie. The lessons can be on consecutive days with a stay at the yard in-between. Dates to be confirmed and arranged around Jamie’s competition schedule. The Fever-Tree Championships at The Queen’s Club in West London, is one of the most cherished annual events in the tennis calendar. From seats in the East Premium stand you will be able to watch the best from the world of tennis battle it out on day three of the tournament on Wednesday 20 June 2018. Then after an exciting day of tennis, enjoy a delicious dinner with a bottle of house wine at the famous Clarke’s restaurant in Kensington. An amazing opportunity to two people to visit David Brown Automotive, a British automobile manufacturer, redefining coachbuilding for the 21st century. Based in Silverstone, the company combines timeless styling with modern engineering and technology. 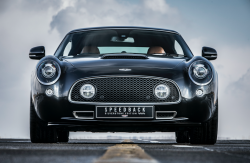 This is a private VIP tour for two people at the all-new build facility, including an introduction by company founder, David Brown, followed by a tour of the build facility and test drives of David Brown Automotive models, Speedback GT, Speedback Silverstone Edition and Mini Remastered. You will have the opportunity to experience first-hand the skill, precision and handcrafted coachbuilding excellence involved in creating all David Brown Automotive models. The tour and test drives will be for around four hours, with an arrival time of 10am. Light refreshments will be provided. A money-can’t-buy deer stalking experience for two (one hunting) in Gloucestershire for Roe, Fallow or Muntjac, donated by Mike Robinson, TV presenter, author and owner of the Michelin Starred Harwood Arms in Fulham. Winners will be taken out by Mike’s professional deer stalker and given rifle shooting instruction prior to an evening and morning hunt. You will go home with a box of wild venison beautifully cut and packed. Overnight accommodation will be provided. Enjoy a fantastic dining experience with matching wines, led by an executive chef in the heart of The Brewery. You and five guests will be talked through eight courses in The Brewery’s newly refurbished tasting room, based in the heat of the kitchen. 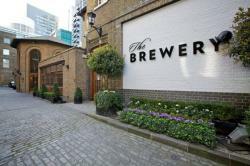 The Brewery is the premier event and fine dining venue in the City of London; its aim is to carry on the proud tradition of the Whitbread Brewery, which has been at the centre of entertainment in London since the era of Lords Nelson and Byron. A fabulous opportunity for a special family photo shoot at M&ICo’s studio in Shipley, West Yorkshire. The family photo session will include an hour-long family portrait shoot, a private viewing session showcasing the images from the shoot, a small table-top framed photo of your choice measuring 9’’ x 7’’, plus £100 credit to spend on any wall product. 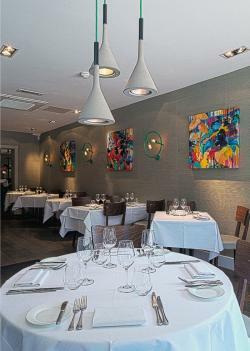 An opportunity to enjoy a lunch or dinner for two at Medlar Restaurant with wines chosen by the sommelier. Situated on the Kings Road in Chelsea, London, this restaurant is owned by Joe Mercer Nairne and David O'Connor and it is their first restaurant venture together. They have combined experience in some of London’s best restaurants and aim to provide fantastic food with a high standard of customer service but in a relaxed environment - as you would expect to find in a friendly neighbourhood restaurant. Joe aims to cook seasonal ingredients from the British Isles and Europe without over- elaboration or pretension. Their wine list is compiled by Didier Catelo. Enjoy a midweek overnight stay for two at The Lord Crewe Arms, voted Inn of the Year 2018 by The Good Pub Guide. Perched perfectly in the midst of the North Pennine moors, holding court over the honey-stone village of Blanchland and crafted by plucky Twelfth Century monks who headed for the Northumbrian hilltops in search of celestial isolation, The Lord Crewe Arms is just the spot for the perfect country hideaway. Even the countryside novice can’t help but want to get their sparkling Hunter wellies muddied here. They’ve got fishing just at the bottom of the garden, walking routes straight from the front door, sailing on the river Derwent a country mile away and cycle routes that please the keenest of lycra wearing spinners! This is a unique opportunity to own one of only 550 limited editions of The Wild Life by Anthony Milbank. Anthony Milbank spent 30 years transforming Barningham Estate into a wildlife haven where he created lakes and ponds, planted woodland and hedges, restored wild flower meadows and managed the predators. This conservation work has created habitats suitable for many species of birds. Anthony passed away in 2016 and this beautiful book was completed by the Milbank family. 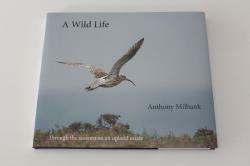 The book is an ornithological dream containing 160 pages of photographs featuring over 260 photographs of more than 100 species of birds, insects and the managed habitats enabling this diversity. Indulge your passion for opera with two tickets to The Grange Festival in Hampshire. The Grange, one of the most celebrated neo-classical mansions in Britain, is seven miles from Winchester and is situated amidst the rolling Hampshire landscape. Choose an opera of your choice from this year’s summer festival. Your visit will include a bottle of Exton Park English sparkling wine on arrival, a delicious dinner devised by the country’s leading game chef Mike Robinson, together with a bottle of house wine, with an opportunity to meet the conductor and cast at a post-performance party in the house. Ideal for the constant traveller – a fabulous opportunity to enjoy a bespoke concierge service for a year. 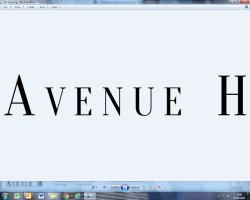 Avenue H is a London based travel agency specialising in global, creative and bespoke trips for an erudite traveller. With a combined 45 years’ experience in luxury travel, they personally plan itineraries from first-hand experience from start to finish for clients with the highest of expectations. Avenue H will take care of all aspects of your travel; city breaks, beach holidays, safari, country house, ski and much more. They also organise your concierge to ensure you are eating in the best restaurants and seeing the hidden gems. The ultimate present for the Manchester United football fan. 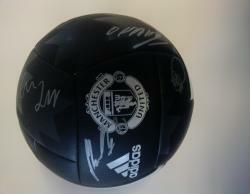 This is your chance to own an official Manchester United football signed by members of the first team squad 17/18 season. Terms and conditions: A certificate of authenticity including a matching hologram will be provided by the Manchester United Foundation following the auction. Enjoy an exceptional day’s Pheasant and Partridge shooting in late January 2019 for one gun on this highly sought after North Yorkshire private estate, with lunch and tea included. 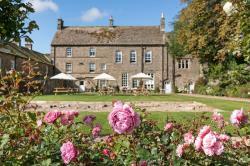 Dinner, bed and breakfast will be provided at the Aysgarth Falls Hotel situated on the edge of the beautiful Yorkshire Dales village of Aysgarth. 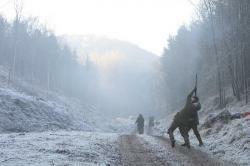 The day’s shoot will be on 19th or 21st January 2019 for one gun; includes one night’s accommodation for one person with dinner and breakfast. 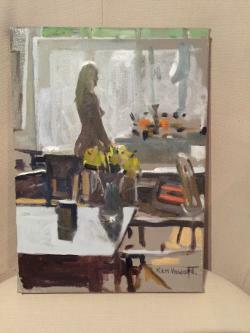 This specially commissioned painting by the acclaimed Royal Academician, Ken Howard, is an oil on canvas measuring 23 x 33cms, signed bottom right and is presented in a bespoke frame to the artist’s specifications. Ken Howard studied at Hornsey School of Art from 1949 to 1953. Between 1953 and 1955 Ken served in the Royal Marines before studying at the Royal College of Art until 1958. He went on to win a British Council Scholarship to Florence from 1958 to 1959. His first one-man show was held at the Plymouth Art Centre in 1955. From then on, he exhibited extensively, both nationally and internationally, particularly with the New Grafton Gallery from the early 1970s and with the Richard Green Gallery from 2002-2014. He was given a retrospective in 1972 at the Plymouth City Art Gallery, and in 1973 and 1979 was appointed by the Imperial War Museum as official artist in Northern Ireland. He also worked with the British Army in Germany, Cyprus, Oman, Hong Kong, Nepal, Norway, Canada, Belize and Brunei from 1973 to 1982. A wonderful opportunity for two couples or a family of four to enjoy an evening at the Royal Opera House in the heart of London's Covent Garden. 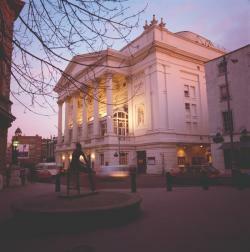 You and three guests are invited to a world-leading opera or ballet performance of your choice. To complete an evening to remember, you and your guests will be able to enjoy a pre-performance Champagne dinner in one of the Royal Opera House restaurants. And to make this a truly memorable occasion, one night’s accommodation and breakfast will be provided in a top hotel in Central London. 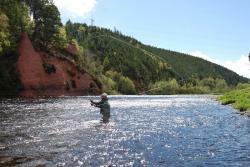 Enjoy two day’s fishing for two rods at Blackwood on the Lower Nith, situated six miles North of Dumfries. It is a picturesque middle to lower beat on a private estate offering two miles of double-bank salmon fishing with 12 named pools. The beat is on a stunning stretch of river, with Forest Head and Craig pools being amongst some of the best holding pools on the Nith. There are also some very good pools that hold sea trout throughout the season. Fly fishing, spinning and worm fishing are allowed when water conditions are suitable for each method. 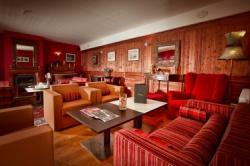 One night’s accommodation will be provided at local high quality and comfortable gastro pub. An ideal opportunity for those interested in the history of gun-making for a private visit of the renowned Birmingham Proof House Museum. The 3-3½ hours visit for up to nine people will consist of a talk on the Birmingham gun trade, a tour of the gun and ammunition museums, and the proof house itself. 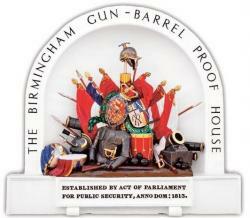 The Proof House was established in 1813 by an act of Parliament at the request - and expense - of the then prosperous Birmingham Gun Trade. The Proof House still exists today, largely unchanged in both purpose and construction, although it offers a wider range of services including ammunition testing and firearm accident investigation. Nestled within rolling hills on the edge of the North Yorkshire Moors, West Acre has been sympathetically refurbished, transforming a listed 19th Century dairy farm into a unique rural retreat. The exclusive use development comprises of eleven en-suite bedrooms and generous Sitting and Dining areas. Arrive early afternoon, then start the evening catching up with friends whilst enjoying a pre-dinner drink before your delicious 5-course gourmet dinner, cooked by your own private chef. Start your subsequent days in a leisurely style - enjoy a full Yorkshire breakfast before exploring the local area, then return to the Lodge to unwind in the late afternoon before your evening supper party. On your final morning, enjoy a relaxed brunch before departing. A world-renowned sportsman, Simon is regarded by many to be one of the finest Game Shots and Shooting Coaches in the world today. A two hour shooting lesson - including ammunition and clays - for a maximum of two people to share the session at a Shooting School of your choice. To be taken within a 12 month period from the 14th/15th May 2018. Jonny Beardsall designs fantastical hats from reclaimed furs in a workroom in a village on the edge of a grouse moor in North Yorkshire. 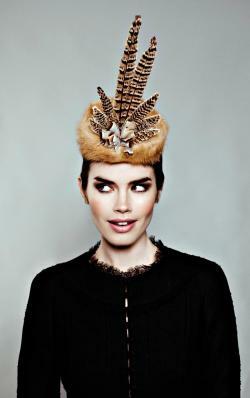 Inspired by his hunter-gather instincts and outdoorsy existence, his hats are all hand-sewn. Fur is sourced from finest-quality vintage coats, collars and throws that may have been hanging unwanted in wardrobes for years while some comes from contemporary garments. From ready-to-wear in red, silver, arctic, blue and dyed-black fox to beaver, chinchilla, ermine, mole and ocelot, some hats are shockingly adorned with stuffed birds and feathers. An exclusive, made-to-order service also enables clients to provide their own furs for skilful resuscitation. Appreciated by race-goers, they are often seen on the heads of owners and trainers in the parade ring at Cheltenham’s National Hunt Festival in March and the Open Meeting in October. Mollie, an experienced Beater and Picker-up as well as a Shoot Photographer, will spend the day with your Team. Your day will be recorded in a customised high quality A4 album – a very personal record. Mollie pays tribute to Lynne Bostock who suggested that she might like to do a photo book of the Dallowgill Grouse Season while waiting for knee replacement surgery – and the rest, as they say, is history! Mollie enjoys all genres of game shooting and feels very privileged to have found such a demanding and satisfying retirement. It is still a huge learning curve - the rewards immense! Exclusive access for two to RHS Chelsea Flower Show 2019 on “invitation only” Press Day. Chelsea Flower Show has been held in the grounds of the Chelsea Hospital, London every year since 1913 – apart from gaps during the two World Wars. Chelsea Flower Show remains hugely popular with tickets completely sold out within a matter of weeks of them being released for sale. This Lot includes London accommodation on the Sunday evening together with a personal tour of the Show by a member of the RHS Council. Sit back, drink in hand, whilst we take you through the fascinating history of gin, right back to original gin styles and tastes, the London gin craze of the 18th century and how gin has developed today. 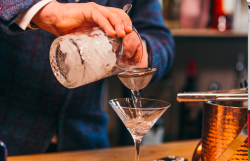 You will also enjoy a demonstration by our brilliant mixologists on how to make our Slingsby Signature Serve and get a chance to make some lovely cocktails for yourself! Package includes 4 drinks per guest, gin tasters and nibbles. 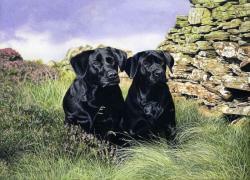 The chance to own a specially commissioned painting by wildlife and sporting artist, Jason Lowes. Jason, based in County Durham, specialises in the red grouse and other game birds, along with animal portrait commissions. The commission will be A3 size and either dog or horse themed. 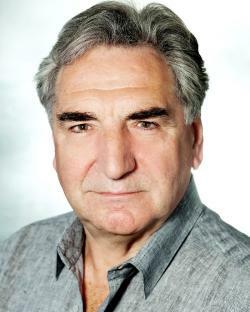 Enjoy a five star lunch for six with one of the country’s leading actors, Jim Carter. Jim is perhaps best known to audiences for his portrayal of Mr Carson, the butler, in ITV’s hit drama Downton Abbey, for which he has received four nominations as Best Supporting Actor at the Emmy Awards. Jim’s career spans forty five years starting out in fringe theatre, progressing to seasons at the Royal Shakespeare Company, the Royal National Theatre, London’s West End - also circus skills and a comedy magic act which he performed for over thirty years. 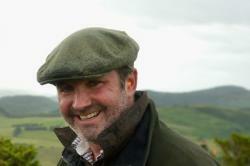 Married to Imelda Staunton, Jim is a “local lad” – born in Harrogate – and is an avid lover of cricket. Jim has also worked extensively in film and television - A Private Function, Brassed Off, Shakespeare in Love, The Singing Detective and Cranford being amongst his personal favourites. This is a unique opportunity to quiz Jim about his long-standing career and get the inside story of life upstairs and downstairs at Downton Abbey all whilst enjoying a fabulous three course lunch with exceptional wines at a five-star restaurant in London including a glass of Champagne on arrival. 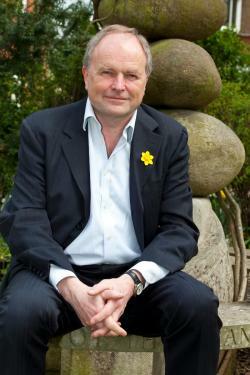 Recognised as one of the UK’s cleverest and funniest TV and print satirists and authors, Clive Anderson is a former barrister and an award-winning comedian. His celebrated Channel 4 chat dhow saw him interviewing the world’s most famous – and often controversial – figures. Now you have the opportunity, along with five friends, to turn the tables and interview clive himself during a private lunch, about his legal career and subsequent move to becoming one of the country’s most versatile broadcaster and comedy writers. Clive went on to front ten series of his own show, Clive Anderson Talks Back on Channel 4 and four series of Clive Anderson All Talk on BBC 1. As well as presenting several other TV and radio programmes, he has made many guest appearances on shows such as Have I Got News For You, QI, Mock the Week, and The Bubble. Clive has been the unflappable host of live events and award ceremonies for BAFTA, the London Evening Standard Film Awards, the Chortle Awards and the Olivier Awards and has fronted other events and programmes ranging from the Proms to politics. Clive hosted Whose Line Is It Anyway?...Live, the official worldwide première at the Adelphi Theatre in London in 2015 and due to popular demand the sold-out show returned to London Palladium for a limited run in 2016. He currently presents Loose Ends and Unreliable Evidence (both BBC Radio 4). He has hosted many award ceremonies and written for a variety of comedians, radio and TV programmes, and for several national newspapers and magazines. 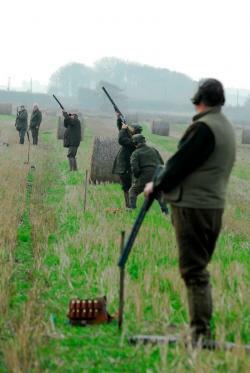 A 400 bird day for a team of eight guns at Duncombe Park, North Yorkshire including full hospitality (breakfast, elevenses in the field and a three-course lunch in the exclusive shoot lodge). 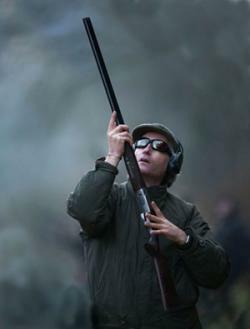 Duncombe Park has an internationally renowned reputation for being the epitome of pheasant and partridge shooting in the UK, ranking among the top 10 shoots. Located on the outskirts of the picturesque market town of Helmsley, this shoot sits within the grounds of the town’s famous stately home Duncombe Park. With over 13,500 acres - and more than 70 drives encompassing ravines and wooded valleys - it is of no surprise that the land lends itself perfectly to presenting challenging birds. To be taken on a mutually agreed date in the 2019-2020 season. A unique opportunity for two people to be chauffeur-driven to the England Football Training Centre at St George’s Park, Staffordshire, to watch an England Training Session conducted by Gareth Southgate and to have a private tour of the facilities. Kindly donated by: the England Head Coach, Gareth Southgate, and Chauffeur Services kindly donated by David Hall of Executive Car Service Harrogate Ltd. In addition, the successful bidder may have a choice of two prime tickets for an England International at Wembley, or he or she can be the personal guest of FA Vice Chairman Peter McCormick at an England Game at Wembley. If you choose to attend as Peter’s guest, that is an invite for one person. You would be in the Royal Box, seated at the Chairman’s Table for lunch or dinner, as appropriate, with Peter and then you will sit with Peter on the front row of the Royal Box to watch the match. Kindly donated by: Peter McCormick, Senior Partner, McCormicks Solicitors; Chairman, Football Board, Premier League; and FA Vice-Chairman. Three Guns To join Liam and Sir Ian Botham at the newly named Whisperdale Shoot near Hackness , Scarborough for a day’s pheasant shooting. 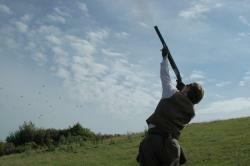 This newly named Shoot is set in the beautiful North Yorkshire Moors and is tipped to become one of the best! This lot will enable you to be one of the first to shoot Whisperdale. The day will be a 300-400 bird day with full hospitality. Date to be mutually agreed between Liam Botham and the winning bidder. 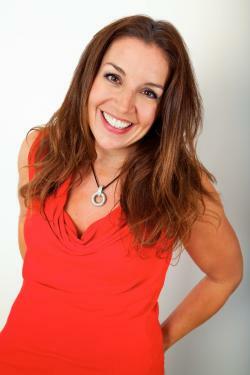 This is a unique opportunity for you and five guests to join Sarah Willingham for a private lunch and gain her entrepreneurial insights on personal finance, consumer affairs and the food and leisure industry, as well as the inside secrets of the hit BBC show Dragons’ Den. Many will also recognise Sarah from the popular BBC2 series The Restaurant with Raymond Blanc in which she was a judge and investor for 3 series. Sarah is a phenomenal business woman. In 2003, she spotted an opportunity to create a chain of Indian restaurants, but her business plan was rejected by fellow Pizza Express executives. Undeterred, Sarah struck out on her own and raised finance to buy The Bombay Bicycle Club. She went on to turn it into the largest and most successful Indian restaurant chain in the UK, realising her skill for spotting an original and exciting new business concept and helping it grow rapidly. In the last few years Sarah’s passion for helping consumers on everyday money matters and consumer affairs has led to frequent appearances across television, radio, online and written media. She is resident money saving expert on Sky News’ Sunrise, and frequently makes appearances on consumer and news shows, such as Watchdog, Good Morning Britain and ITV This Morning. 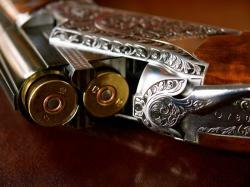 Shooting for eight or nine guns on a syndicate day on one of Britain’s great Sporting estates, Altcar in Lancashire. The day includes breakfast at the Shoot Lodge before heading out for five drives in the gun bus. Elevenses with sloe gin, champagne and light bites will be served with a three-course gourmet lunch with wine, all prepared from the Lodge by the Estate’s private chef. An incredible opportunity for four people to visit one of the most famous vineyards in France. Olivier Leflaive - scion of a family that can trace its roots back to Puligny-Montrachet over 300 years - offers a vineyard visit and tasting in the Chai as well as a tasting dinner for four people at his beautiful, award winning hotel in the heart of Puligny-Montrachet. 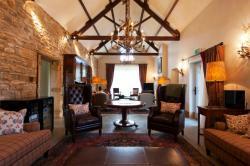 Overnight accommodation at the hotel is also included. 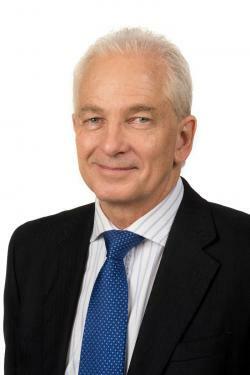 You won’t be stumped for conversation with the great 1980s England cricket captain, David Gower OBE. David was the fourth highest test match runs scorer for England after Alastair Cook, Graham Gooch and Alec Stewart, but crucially ahead of Geoffrey Boycott. He has written several books including two autobiographies, the first entitled, thanks solely to the imagination of the publishers, Gower, the Autobiography. The second (2013) was more aptly titled An Endangered Species, reflecting both his reputation and his love of wildlife. Rory McGrath, with whom he has also worked on the BBC Holiday programme. You and five guests are invited to join David for a private luncheon at an exclusive venue to include three courses with wine and a glass of Champagne on arrival. VIP Theatre experience for two people – Hong Kong or Singapore! Read on for details of this incredible prize and no, your eyes don’t deceive you! 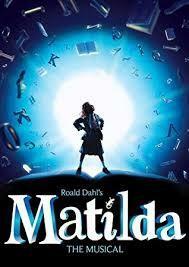 •	Attendance at the Gala Opening Night party after the show, with the opportunity to meet the cast.